The world appears to be a smaller place these days. Put as simply as gross generalisation allows: the internet and globalisation have made the earth feel a little less vast and whole lot more familiar. A key part in all of this is technology. Phones have got smaller, computers have got quicker, and our reliance every single day on machines and their associated software – whether it’s sat-nav devices in our cars or the computer you talk to at the supermarket while shopping instead of check-out staff – grows almost minute by minute. 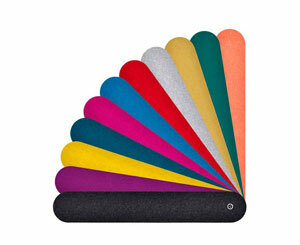 The Libratone DIVA boasts interchangeable covers to tailor the unit to your preference. Economy of size has made all this possible. Were we still using the brick-like “car phones” from the 1980s whose weight meant your arm got tired during any phone call over 30 seconds, we probably wouldn’t be socialising through Facebook and ordering Domino’s through Just Eat. But, alas, we are. We’ve also ditched the CD in favour of an almost limitless music library accessed via a “cloud”, and become daily film directors and editors with distribution deals thanks to Instagram, YouTube and Vine. That’s technology for you. What once required hardware the size of a small house is now small enough to fit in your pocket. This economy of hardware can be seen in the music world as well. While speaker designers continue to wage war between a desire to reduce the size of their product and the need to do so without impacting on sound quality, the battle appears to have some life left in it yet. 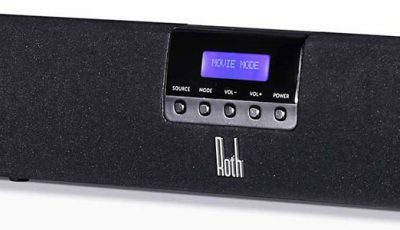 There have been some poor efforts, particularly in mobile Bluetooth speakers where size has severely impacted on the speaker’s ability to produce anything resembling satisfactory sound reproduction. 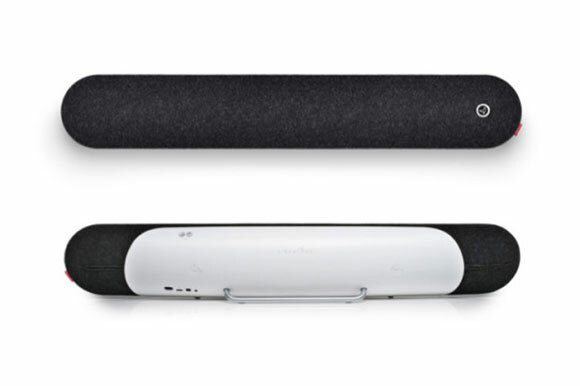 But there have also been some excellent examples, the Libratone DIVA soundbar being one of them. 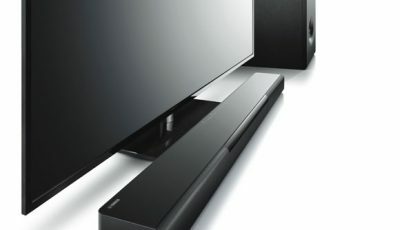 The age of the soundbar marries economic use of hardware with aesthetically pleasing interior design. 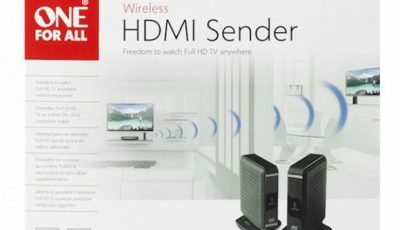 Home cinema has become possible for pretty much everyone thanks to cheaper electrical goods meaning 5.1 surround sound systems with 50-inch HD screens can be found in living rooms up and down the country. However, no one likes clutter. It isn’t easy hiding all those wires, especially for those speakers at the back of the room. Wireless technology is one way to overcome this. 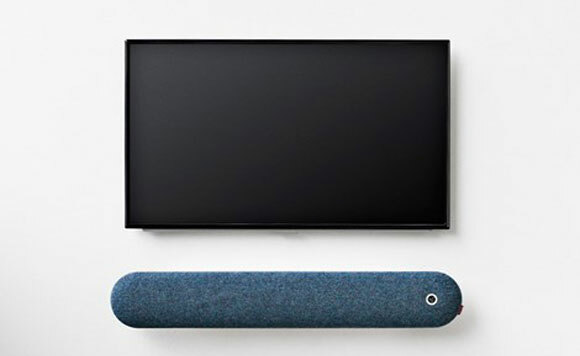 Another option is the soundbar – a single, centrally positioned speaker which provides the full tonal range alongside the capability to direct sound around the room, mimicking the sound-stage produced by individually positioned speakers. Without a doubt, Libratone’s DIVA is one of the best of its kind on the market. That’s partly down to tradition – it’s in the Libratone blood. It’s also down to an ability to innovate; to push the boat out and take a chance. The company was founded in 2009 with a strategy to create unique audio solutions in the new age of liberated music listening: in other words the age of “streaming media”. “Quite simply, we are reinventing speakers for the 21st century,” states the company. Aesthetically, there’s little not to like about the DIVA. It’s customisable with the recognisable woollen cover being interchangeable with any array of colour options. It might be a good commercial angle for the company to force users to splash more cash on new speaker covers but it’s a welcome option for those wanting to make the DIVA fit their room style and personal preferences. 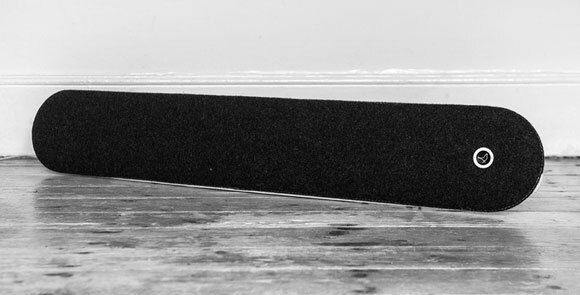 The “standard” pepper black is an ideal starting point – I was quite happy with it – and it’ll fit with most room styles. Indeed, not only does the Libratone move away from your standard “box” speakers, it also offers a little colour to your audio set-up. Take the cover off and underneath we find the DIVA’s array of speakers with a single intention of creating the most rounded, all-encompassing sound possible from a single, central unit. Under the hood we find a 13cm woofer in the middle which is flanked by two midrange drivers and two ribbon tweeters at the edges. The sound is enhanced through the use of two clamshell-shaped internal reflectors. You have two options for placement. I used the included metal bar, attached to the rear to allow the speaker to stand on its own and placed the Libratone DIVA on the floor. The second option is to fit it to the wall but bear in mind it needs mains power so factor this into your decision making. Once you’re happy with placement it’s time to get going. You can connect to the DIVA via a Wi-Fi connection or Bluetooth. I connected to the DIVA through Bluetooth via, separately, both an iPhone and iPad. Neither had any problems but sometimes it took a couple of tries for the smart devices to recognise each other. You also have the option to download a dedicated app for both Android and iOS devices which has some pre-sets to tailor the sound to your needs. Infuriatingly, there isn’t the option to manually change each element of the speaker’s soundstage. 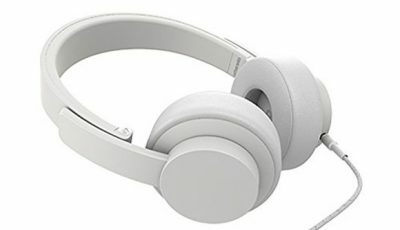 Other connections include 3.5mm jack and optical inputs as well as a USB port. The nuts and bolts are one thing but the Libratone DIVA can only win or lose based on its sound. And I can’t fault it. Music fills the soundstage, envelops the room and has clarity between the 75W bass driver at the core alongside the high-end output of the 25W tweeters. Balancing the whole thing are the two 50W midrange drivers flanking the bass. Whether the volume is set low or cranked up to full power, the Libratone DIVA does exactly what you want it to: create the enveloping sound of a multi-speaker set-up with the space-saving, aesthetically efficient benefits of a single speaker unit. The speaker is similarly effective for watching movies. I preferred to connect via the optical input. Others may choose an alternate. Dialogue is clear with direction-orientated audio perfectly spread across the front soundstage. The speaker can’t compete with a full surround sound system when it comes to rear sounds but does pack a significant punch from its sub-woofer which will rival many cheaper 5.1 surround sound speaker systems. But is all this worth £600+ (approximately $1,000). The downside of the Libratone DIVA is, without any doubt, its price tag. You will find cheaper alternatives – its Sonos competitor will give you similar sound quality without burning as big a hole in your pocket – but it won’t look as good doing it. 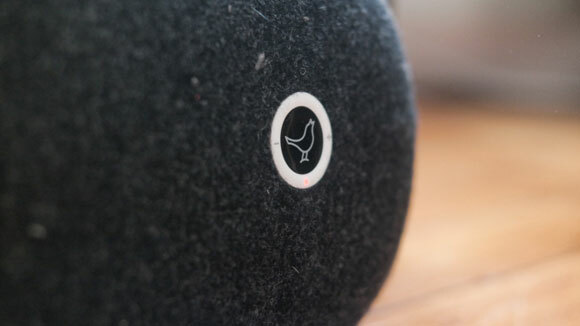 The Libratone DIVA justifies its price if you’re big on aesthetics – and WOOL! That’s its biggest selling point – it looks different and stands out. With the quality of its sound production and its ease-of use and connectivity options, it ticks all the boxes for those wanting their music to really sing in the home environment. In doing that, it also offers users – through its various covers – the option to customise the speaker to their own desires. The Libratone DIVA stands out over its competitors by marrying quality with striking, good looks.